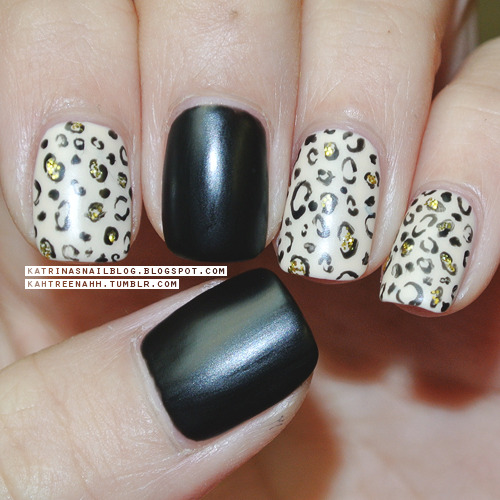 I used two coats of Zoya's Jacqueline and 2 coats of Rimmel's Black Satin, free-handed the leopard prints, dabbed a bit of Studio M's Gold Glitter into the leopard prints, and topped the mani off with 2 coats of NYC's Matte Me Crazy. Jacqueline applied like a dream! 8) It was perfect! Your manicure is so detailed! Perfect.